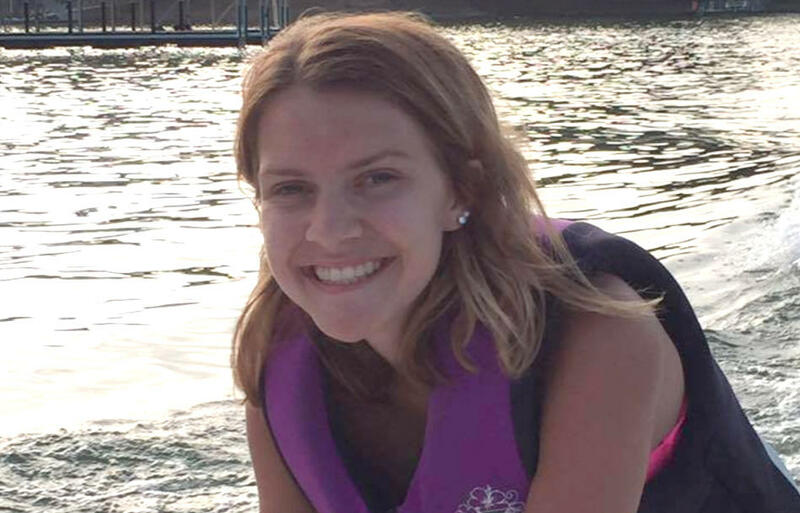 The parents of 15-year-old Carmen Johnson, who tragically died from electric shock drowning while swimming near her family’s Alabama lake house last April, are speaking out about the rarely reported phenomenon after it took the lives of two more local women this past weekend. The two women, 34-year-old Shelly Darling and 41-year-old Elizabeth Whipple, went missing after sunbathing on Lake Tuscaloosa Friday afternoon. Their bodies were retrieved from the lake early Saturday morning. Preliminary autopsies for the two victims show the cause of death as electrocution, the Tuscaloosa County Homicide Unit told CBS affiliate WIAT on Wednesday. Even a low level of electric current in the water can be extremely hazardous or fatal to a swimmer -- especially in freshwater, where experts say the voltage will “take a shortcut” through the human body. “There is no visible warning or way to tell if water surrounding a boat, marina or dock is energized or within seconds will become energized with fatal levels of electricity,” the non-profit Electric Shock Drowning Prevention Association reports. In fact, Johnson says, he never would have known what happened to his daughter if he hadn’t felt the electric current himself while trying to jump in to save her. That’s when Johnson and his son, Zach, jumped in the water after the girls and immediately felt piercing electric shocks. “Cut the power off,” Johnson yelled to his wife as he started to go in and out of consciousness. Johnson, Reagan and Zach survived, but Carmen didn’t make it. “Carmen was grabbing [Reagan’s] leg and was getting the majority of the shock when I came over,” Johnson said. Johnson later found a light switch at the dock that was half full of water. When he put the metal ladder into the water, the electrical current from the light switch traveled through the dock to the ladder and into the surrounding water, where the girls were swimming. “As they were swimming toward the dock, within somewhere between the 5-to-10-foot range, is when they started feeling like they couldn’t swim,” Johnson recalled. Johnson believes that if his family had been educated about electric shock drownings this might never have happened. Now he’s sharing Carmen’s story as a warning to others, along with tips to help prevent similar tragedies from occurring. Use a plastic ladder, rather than a metal one, so it won’t help transfer electricity into the water. Check all of the wiring around your dock, including your ground fault circuit breaker.